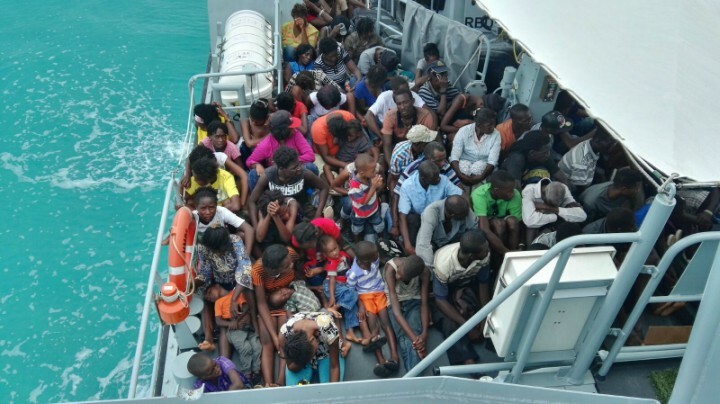 Coral Harbour Base, 11 June 16 (RBDF): Acting on information received, the Royal Bahamas Defence Force fast patrol craft P129 coxswained by Petty Officer Acadia Smith apprehended one hundred and ninety-nine Haitian migrants off the west coast of northern Andros on Friday 11th June, 2016. P129 was on routine patrol near north Andros when it was diverted to investigate the sighting, which was initially reported by Police in Red Bays, North Andros. 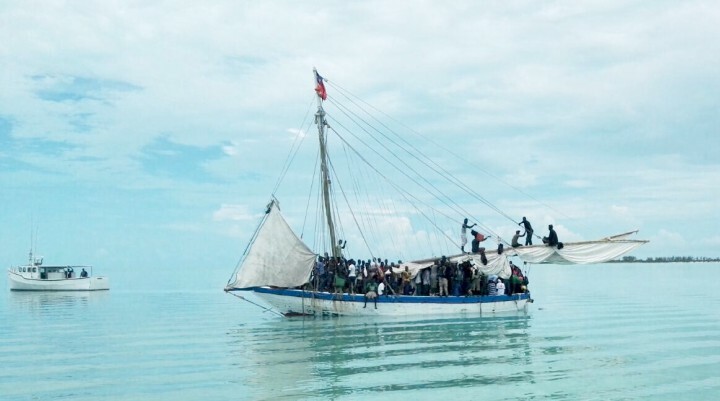 Upon arrival in the area of Cross Cays off the west coast of northern Andros, P129 apprehended the Haitian nationals aboard a wooden sailing sloop. The migrants were in urgent need of food and water, which were provided by locals from the Red Bays community. HMBS Lignum Vitae commanded by Senior Lieutenant Bertrum Bowleg was also deployed to transport the large number of migrants, who were are currently being brought to New Providence and will be handed over to Immigration authority early Sunday morning. Commander Defence Force (Acting), Captain Tellis Bethel commended Superintendent B. Arnette of the North Andros Police Station along with his team for assisting the Defence Force with its maritime operations; the outstanding local fisherman and resident of the area for helping Defence Force patrol craft to locate and secure the wooden sailing vessel; and the Red Bays community for providing food, water and other critical logistical support, which prevented loss of life.